Which Healthcare Setting is Right for You? Knowing where to turn for healthcare can be confusing because there are many options available, all offering what seem to be similar services. 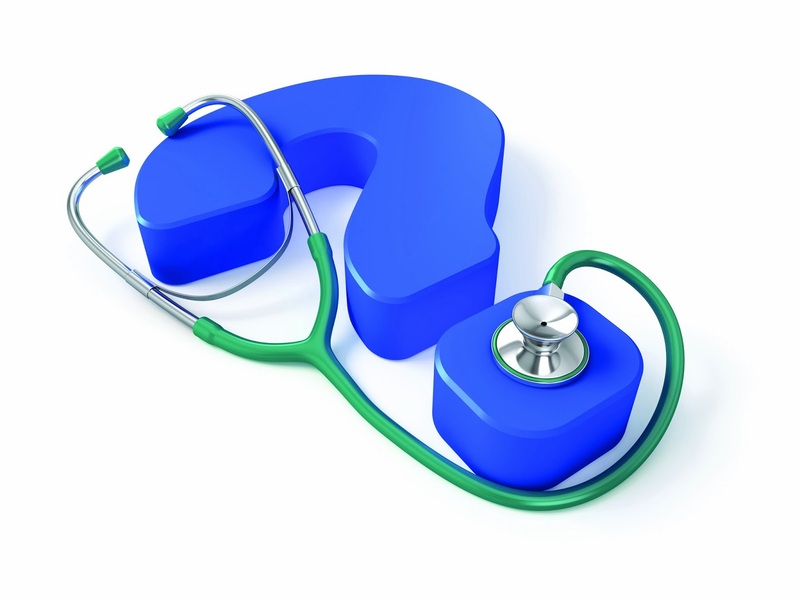 People might wonder if it is necessary to have a primary care physician (PCP) versus going to an urgent care or convenience care clinic. They may also struggle with deciding when an issue warrants a visit to a hospital’s emergency department. Listed below are descriptions for different types of care to help minimize the confusion. A primary care physician’s office, which usually includes physician assistants, nurses, nurse practitioners, technicians and clerical staff, builds relationships with patients, truly getting to know their healthcare goals and needs. The most valuable benefit of having a primary care doctor is that he or she concentrates on health maintenance and managing chronic illnesses like diabetes. GBMC PCP offices offer extended weekday hours and morning office hours on Saturdays. All of GBMC’s PCP offices function as patient-centered medical homes, emphasizing prevention and wellness rather than treating patients when they’re already sick. Although PCPs are very focused on wellness, they also build time into their schedules to accommodate patients when they are sick as well as to treat minor urgencies, such as sprains. Additionally, nurse practitioners act as extensions of the physicians to offer convenient, timely healthcare access. Urgent care clinics are staffed by a team similar to that of a PCP office, but they typically treat conditions such as sprained ankles, cuts and fevers. They are more focused on episodic care (when a person is already sick or has a minor injury) rather than prevention or overall wellness. Urgent care clinics have late hours, are open on weekends, accept walk-ins and often have other service capabilities such as X-rays, lab work and prescriptions available onsite for patient convenience. Convenience care clinics are located in pharmacies or grocery stores. They are not always staffed by a physician, but instead by nurses or assistants who treat conditions like earaches, sore throats and flu-like symptoms. These clinics typically also offer common vaccinations, like the flu shot, on a walk-in basis. Hospital emergency departments are meant to treat more critical health problems, which may include heart attack, stroke, allergic reaction, major injury, etc. If someone is experiencing symptoms consistent with the above conditions, or has suffered a severe injury, it’s important to call 911 and get to the closest ED. Interested in finding a primary care physician who is right for you? Visit www.gbmc.org/mydoctor or call 443-849-GBMC (4262) for a listing of GBMC’s PCP office locations. Videos of many physicians are available for viewing on the website and appointments can also be requested online. 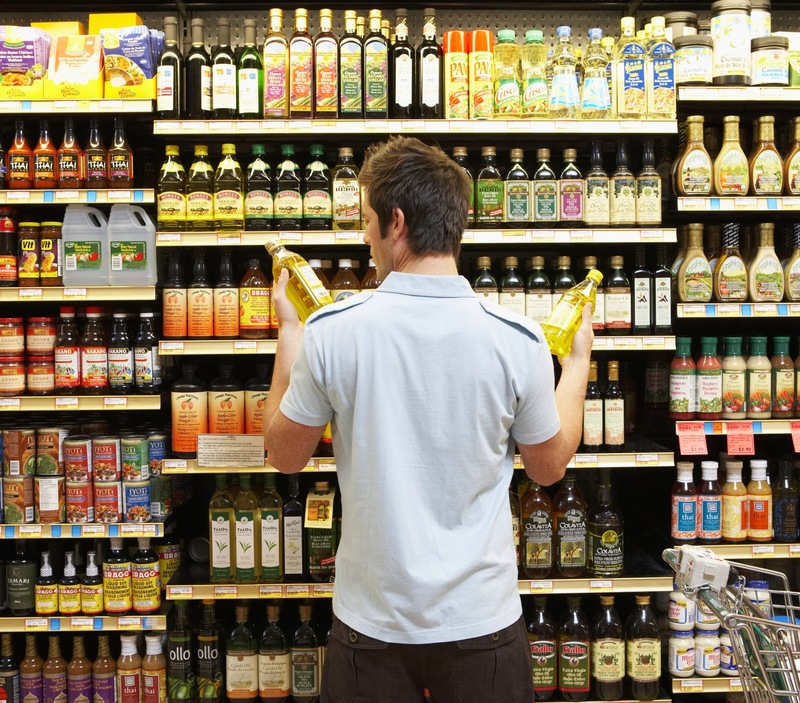 If you are health-conscious and like to cook or bake, you have likely stood in the aisle of the supermarket, glancing at the many types of oils, trying to select the best one. 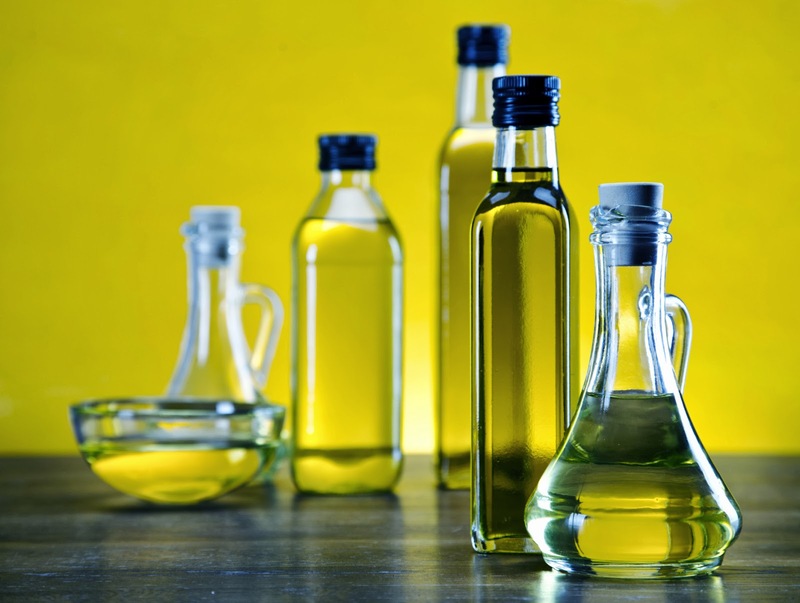 There are more than 20 types of cooking oils and since they are derived from plants, such as nuts, olives and seeds, they all have different characteristics. Each type of oil has its own unique “smoke point,” and it’s best to select an oil with the right smoke point for the dish you are preparing. Once oil exceeds its smoke point, the temperature at which it begins to chemically break down and produce smoke, it emits cancer-causing carcinogens into the air and a strong foul smell. Oil is a form of fat, carrying 14 grams in a single tablespoon, so it should be consumed in moderation. Not all fat is created equally, however. There are two types of fat: saturated and unsaturated. Unsaturated fat, whether monounsaturated or polyunsaturated, is considered to be heart-healthy, or “good” fat. Saturated fat, found in fatty meats and vegetable oil, can increase cholesterol and increase the risk of heart disease, heart attack and stroke. While vegetable oil is commonly used, its high fat content from partially hydrogenated oils is bad for the heart. Some types of oils are flavorless, some have mild flavor and certain types have rich, distinct flavoring. The flavor factor is worth considering when using the oil in baking or when you want to pack some punch to a recipe. Depending on the type you choose, olive oil has many uses. Light olive oil has a high smoke point, making it preferable for cooking foods at a high temperature, such as pan-frying. Extra virgin olive oil has a strong, grassy flavor and a lower smoke point, so choose that when whipping up a marinade, dip or dressing. It also is considered one of the healthiest oils, with 75 percent monounsaturated fat. With a high smoke point, no distinct flavoring and only seven percent saturated fat, canola is one of the most versatile, healthy oils. Canola can be used instead of vegetable oil when baking and when cooking foods at a high heat. With a strong, intense flavor, sesame oil is a key ingredient in many Asian dishes, and its 350 degree Fahrenheit smoke point makes it perfect for stir-frying. The dense flavor of sesame oil allows you to use a minimal amount - usually less than a tablespoon - which helps to reduce calories. Additionally, it has high unsaturated fat content and low saturated fat. Sunflower oil is high in monounsaturated fat. This heart-healthy oil is similar to light olive oil and canola oil; it carries a light, almost unnoticeable flavor and can be used up to 440 degrees Fahrenheit. Coconut oil has gained popularity lately for its rich flavor and versatility. Natasia Tomlinson, RD, LDN, a clinical dietitian at GBMC, does not recommend the use of coconut oil for its high saturated fat content. Its health benefits are limited and largely unproven, so it’s better to opt for a more heart-healthy choice. Containing hydrogenated oils and saturated fat, vegetable oil can raise cholesterol and increase risk of blood clots. If you have to use vegetable oil, use sparingly when possible. Canola oil is a great substitute for vegetable oil. If you’re going to be spending time in motor vehicles while you’re on vacation, a car seat is a must. If you’re flying to your destination, this might be an easy item to overlook, but whether you’re renting a car or taking a taxi during your vacation, a car seat will keep your child as safe as possible during transport. Be sure to include a first aid kit in your suitcase that contains medications, such as baby/child acetaminophen or ibuprofen, and an oral syringe. If your child takes vitamins, pack those as well. Some children require medications like asthma inhalers or injectable epinephrine for life-threatening allergies. A thermometer, sterile bandages, antibiotic ointment, tweezers and a cold pack are also helpful. If you’ll be spending time in the sun, bring baby- or child-friendly sunscreen and wide-brimmed hats. Remember to pack childproofing items for your vacation rental, such as outlet covers, door knob covers, and pipe cleaners or twist ties to secure cords and draperies. Tip: duct tape can do several of these jobs if you need to pack lightly. Your baby is likely to experience the same ear-popping sensation that adults do when traveling by plane, but doesn't know how to yawn on cue and can’t chew gum to help. Breastfeeding or sucking on a bottle, pacifier or sippy cup can alleviate pressure. Another key to a happy baby (and happy parents) during vacation is good sleep. Try to maintain the usual naptime and bedtime routines if possible. If your baby depends on white noise when sleeping, bring along a white noise CD or small sound machine. Make sure your baby has a safe place to sleep, whether you are bringing your own portable crib or relying on one that is available through your vacation rental. Remember all the essentials: formula, baby food, snacks, diapers, wipes, a potty seat if your child is in potty training, your child’s favorite comfort toy or blanket, and other items, such as a lightweight umbrella stroller to make your trip more convenient. Most of all, be flexible! It may take your baby a few days to get accustomed to the new environment. his last radiofrequency ablation treatment. If it weren’t for a routine endoscopy, Allen Woods, 68, wouldn’t have known there was a silent disease afflicting his esophagus. Mr. Woods had struggled with gastroesophageal reflux disease (GERD) for years and had been taking prescription medications to alleviate symptoms. However, as it does in approximately 15 percent of chronic GERD patients, the condition led to a more serious disease called Barrett’s esophagus (BE). That’s why he turned to Niraj Jani, MD, Division Head of Gastroenterology at GBMC. BE causes damage to the lining of the esophagus and can increase a person’s risk of developing esophageal cancer. This realization was of extra concern to Mr. Woods, as he is an oropharyngeal cancer survivor, putting him at higher risk of developing esophageal cancer. “Often, BE doesn’t show any warning signs besides GERD, so the timing of his endoscopy was fortunate. Factors that increase risk of developing BE include a long history of GERD or being older in age, overweight or a Caucasian male,” says Dr. Jani. In some cases, the only necessary treatment is lifestyle and diet changes to help manage GERD in an effort to prevent BE from developing further. These include limiting or eliminating certain foods and beverages, like fatty foods and caffeine that aggravate reflux symptoms, and maintaining a healthy weight. In Mr. Woods’ case, to prevent his BE from developing into cancer, he underwent a series of three simple procedures to eradicate the affected area. This procedure, called an EGD (esophagogastroduodenoscopy), uses a long, thin tube with a light and camera at the end, to visualize and biopsy abnormalities in the lining of the esophagus. During his EGD, Mr. Woods underwent a procedure called radiofrequency ablation (RFA), which is a highly effective method for eradicating BE. “During the procedure, heat energy generated by current is used to burn abnormal cells,” explains Dr. Jani, who adds that GBMC was the first community hospital in the Baltimore area to offer this treatment option. “I feel fortunate that this treatment option is available,” Mr. Woods says. “Rather than removing whole sections of my esophagus, Dr. Jani was able to remove only the abnormal cells in the lining.” Mr. Woods hasn’t had any adverse side effects from treatment and feels it’s impacted his life in a major way: “Knowing that I’m being closely monitored greatly reduces my anxiety about cancer. The peace of mind is priceless,” he says. Mr. Woods will undergo routine surveillance, but at the present time no longer has BE. For additional information about GBMC’s Gastroenterology services, call 443-849-GBMC (4262) or visit www.gbmc.org/gi.